“They couldn’t really charge for toilets, could they?” That was my first thought when I read about [[Ryanair]] CEO Michael O’Leary saying, “One thing we have looked at in the past and are looking at again is the possibility of maybe putting a coin slot on the toilet door.” That’s right, the CEO of a major european airline finally put words to the fears of travelers everywhere, who have long joked that fee-crazy airlines will eventually charge us to use the restroom. The scariest part of what O’Leary said was not the idea, but the fact that the idea comes with a certain amount of business sense to it. Ryanair’s model is to give passengers the most basic air travel service possible—a seat on a plane that goes from one place to another—and charge for absolutely everything else. “We’re all about finding ways of raising discretionary revenue so we can keep lowering the cost of air travel,” O’Leary said. While charging admission to the restroom stretches the definition of “discretionary revenue” well beyond my powers of comprehension, a fee would offset the cost of cleaning and operating the onboard loo. So there is a twisted form of logic behind it. Mercifully, Ryanair spokesman Stephen McNamara quickly dismissed O’Leary’s comments, telling Reuters “Michael makes a lot of this stuff up as he goes along and while this has been discussed internally there are no immediate plans to introduce it.” (Wait a minute—discussed internally?) And indeed, O’Leary does have a knack for saying outrageous things to get free publicity (which, it turns out, I’ve now given him), and for now Ryanair’s stance on toilets remains unchanged. I can probably guess what SmarterTravel readers think about coin-operated toilets, so I’ll ask a different question: Do you think this can and will actually happen? 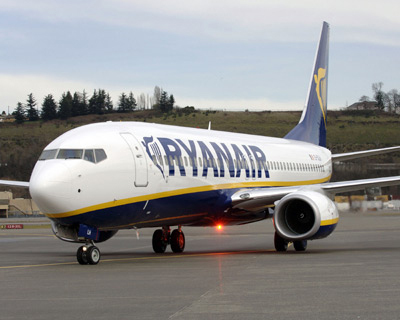 It seems far-fetched, but O’Leary’s comments prove at least one airline has considered it. Can you imagine dropping 50 cents to use the lavatory? Leave a comment below with your thoughts. Thanks! Update, March 10: O’Leary revealed that he was mostly looking for free PR with these comments, saying pay-to-go restrooms are a “new visionary strategy and a wonderful idea,” but not likely to happen due largely to legal issues. He blamed (jokingly, I assume) a “bureaucrat in Brussels” for deciding restrooms must be provided free of charge wherever food and drink is sold. What a novel idea.